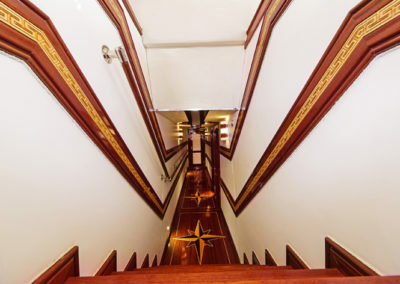 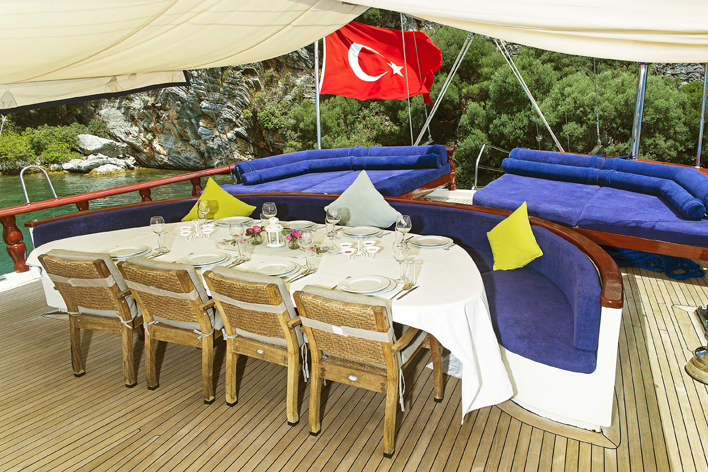 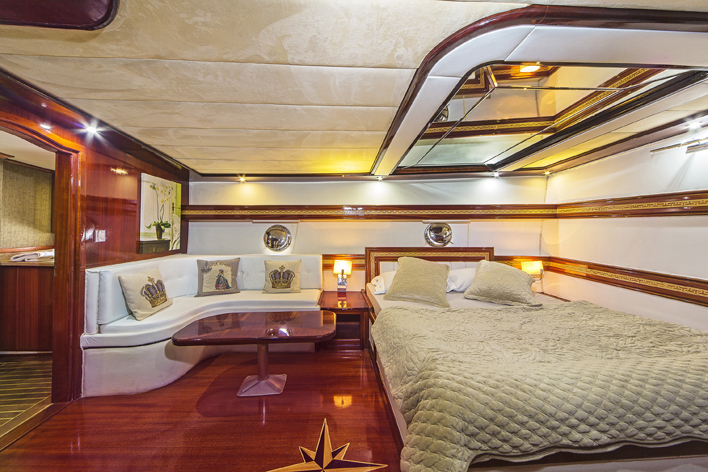 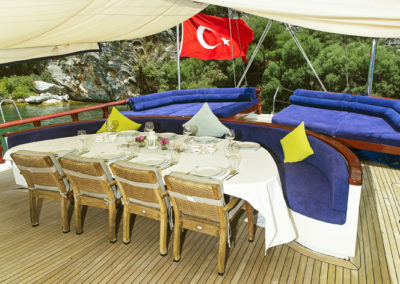 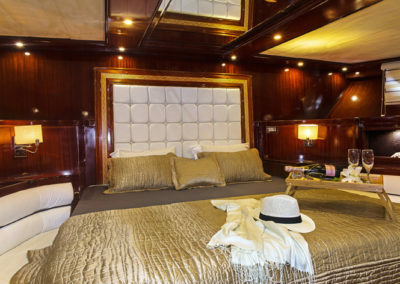 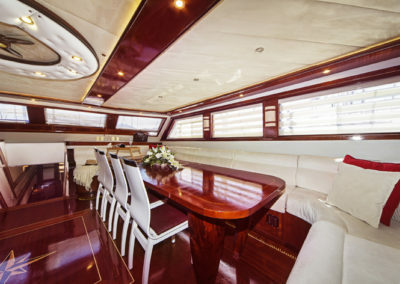 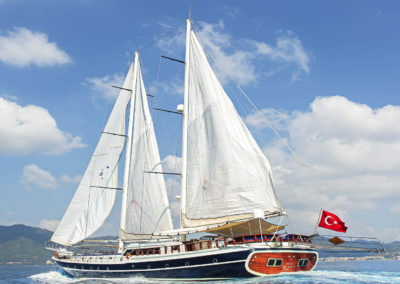 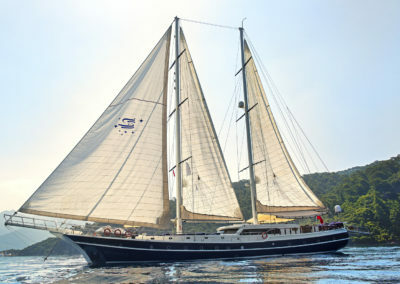 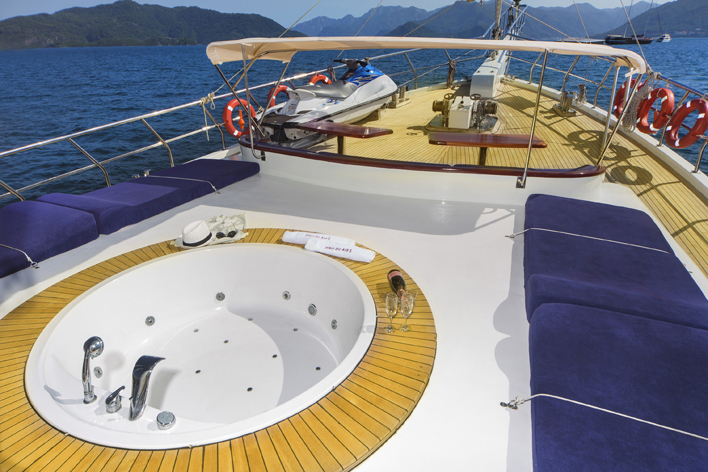 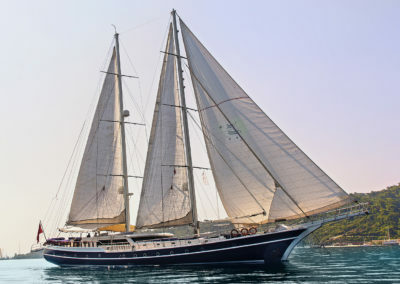 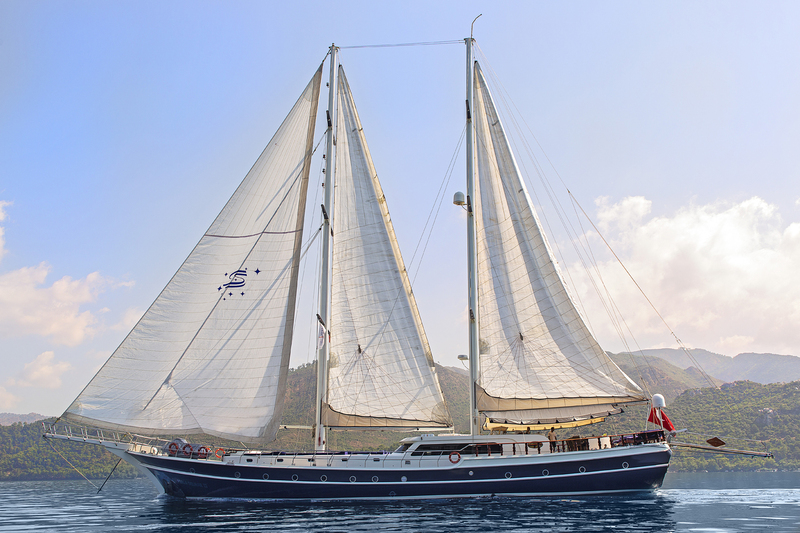 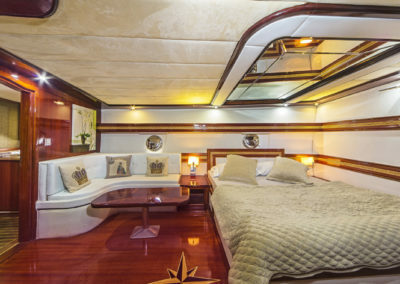 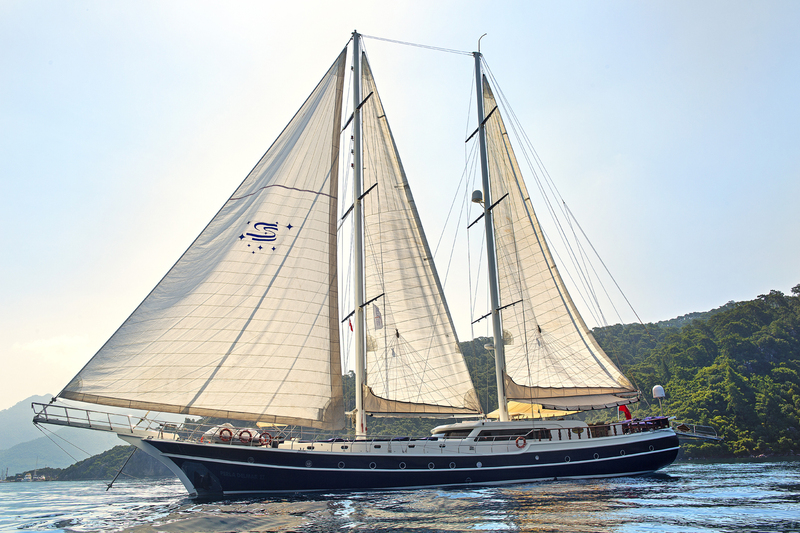 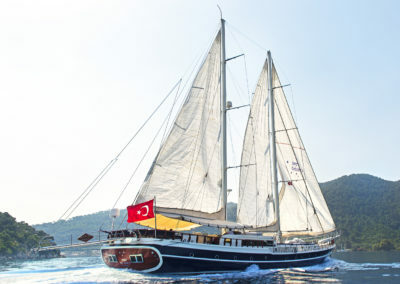 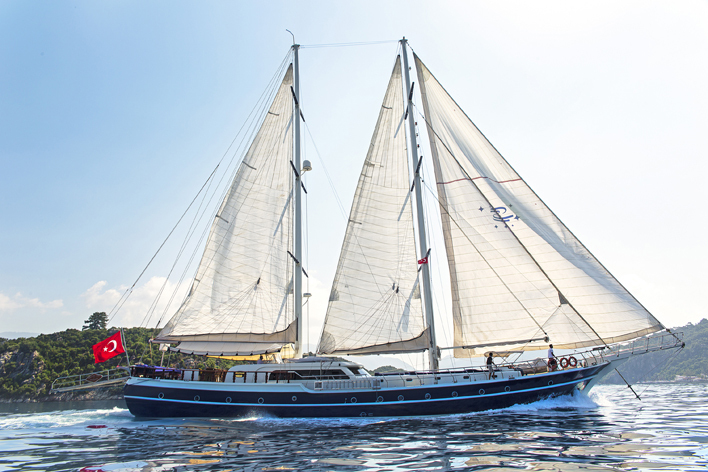 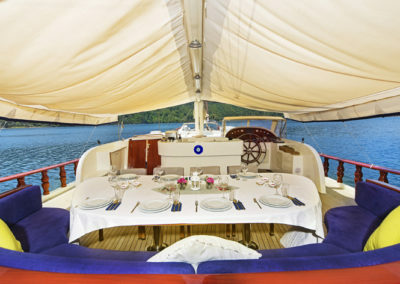 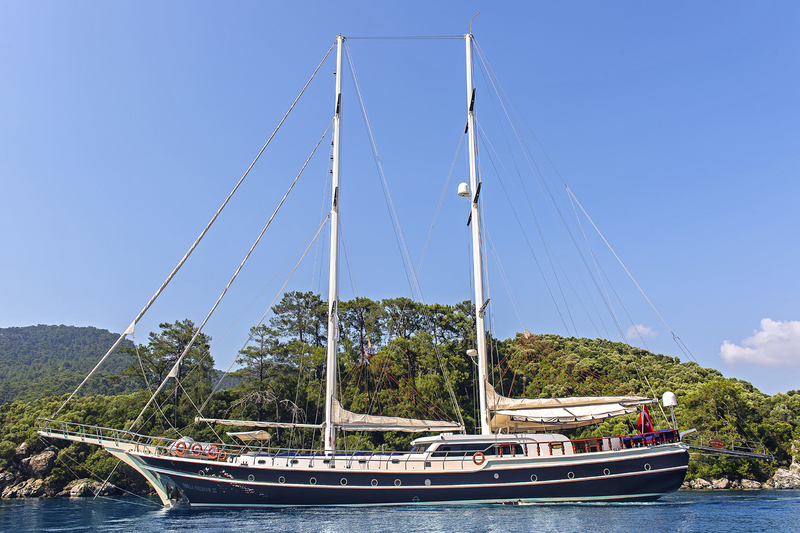 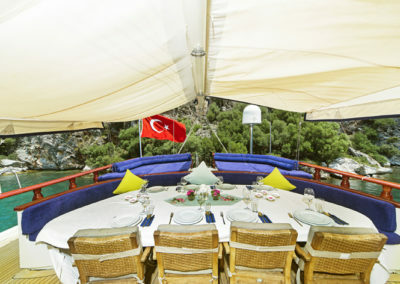 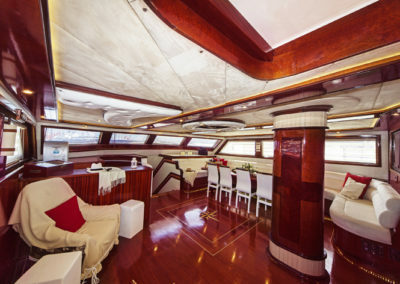 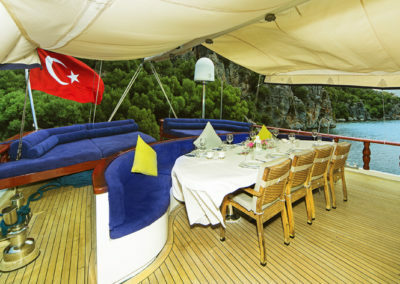 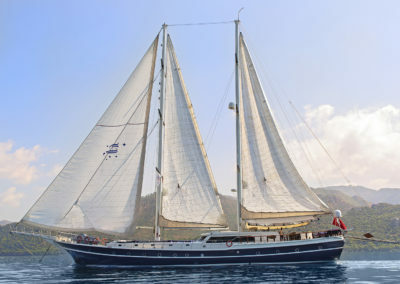 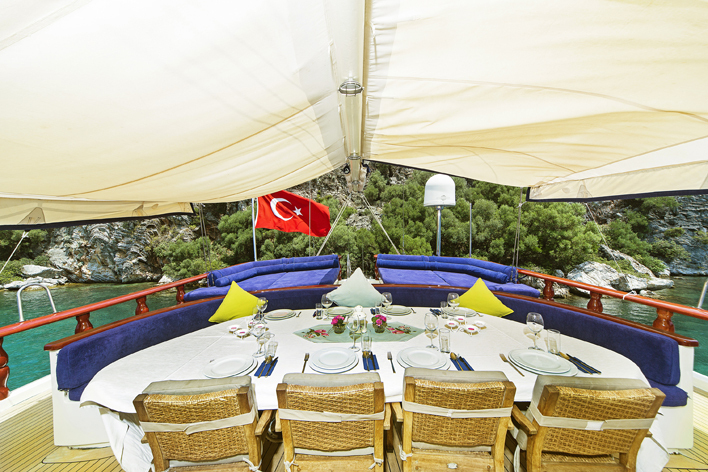 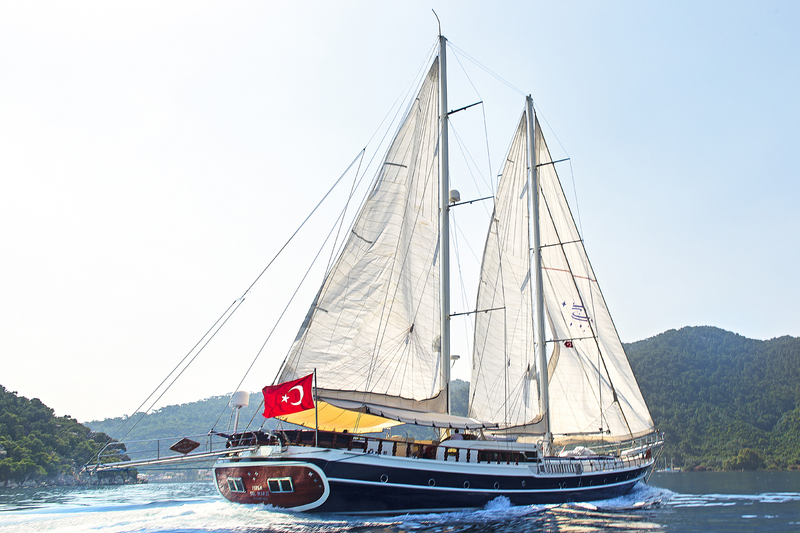 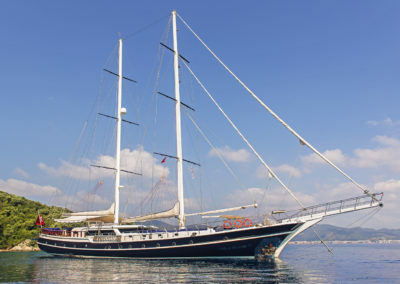 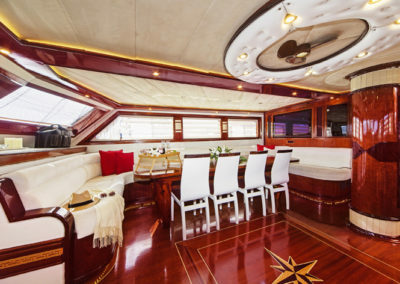 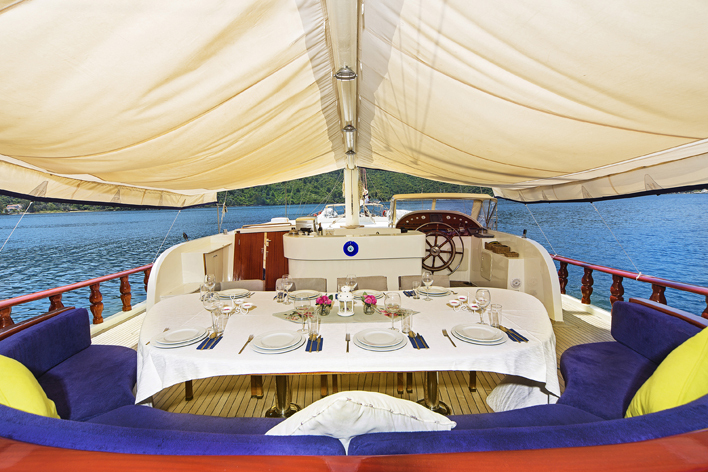 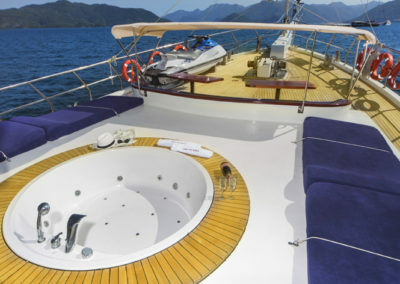 PERLA DEL MAR II is a 5 star Gulet with stylish furniture, elegant decoration and unique interior design. 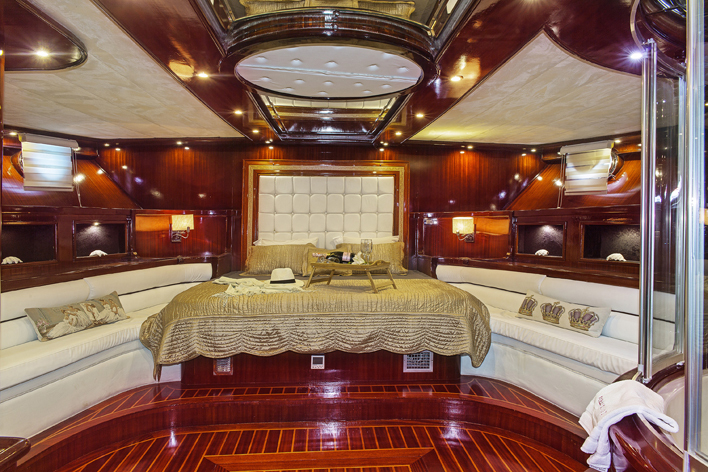 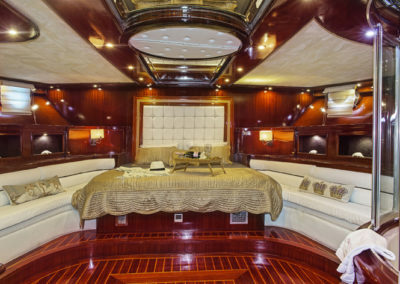 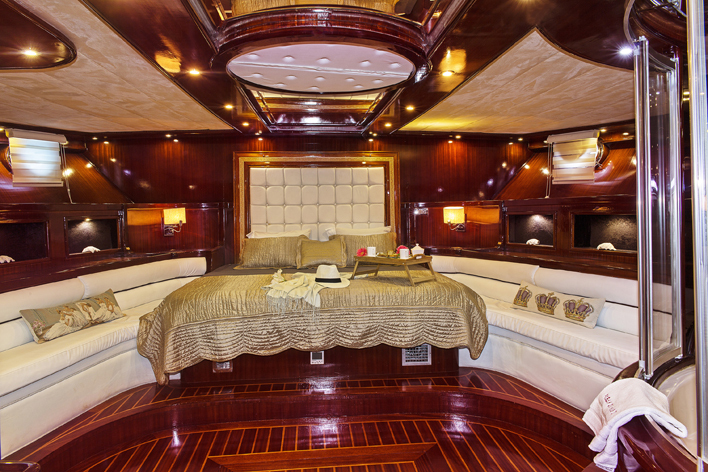 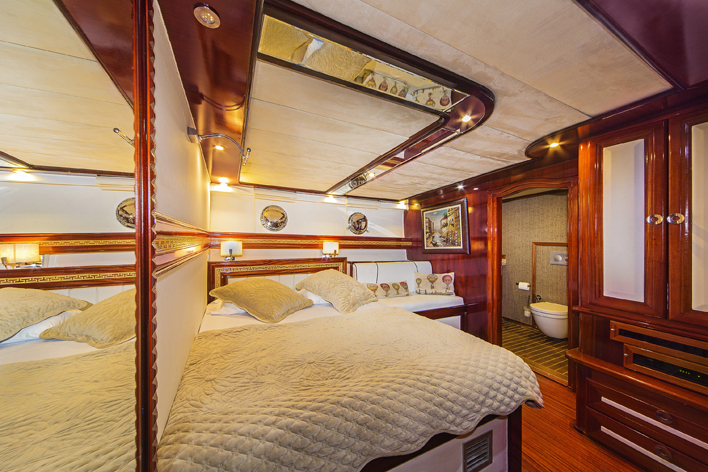 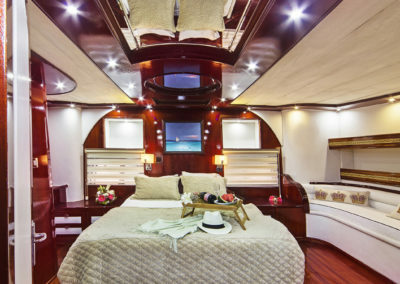 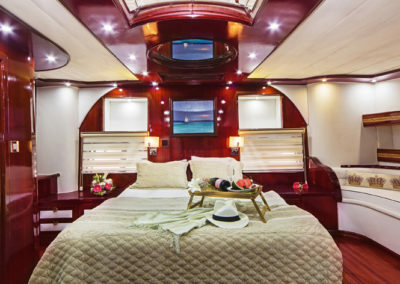 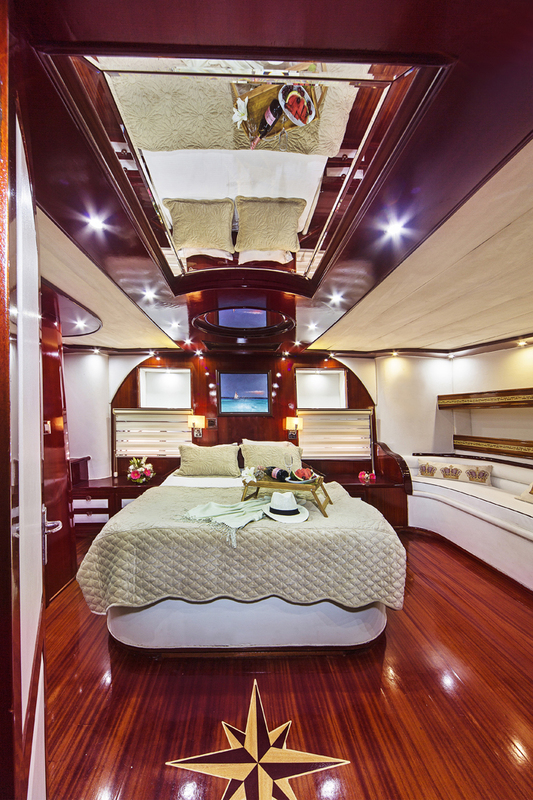 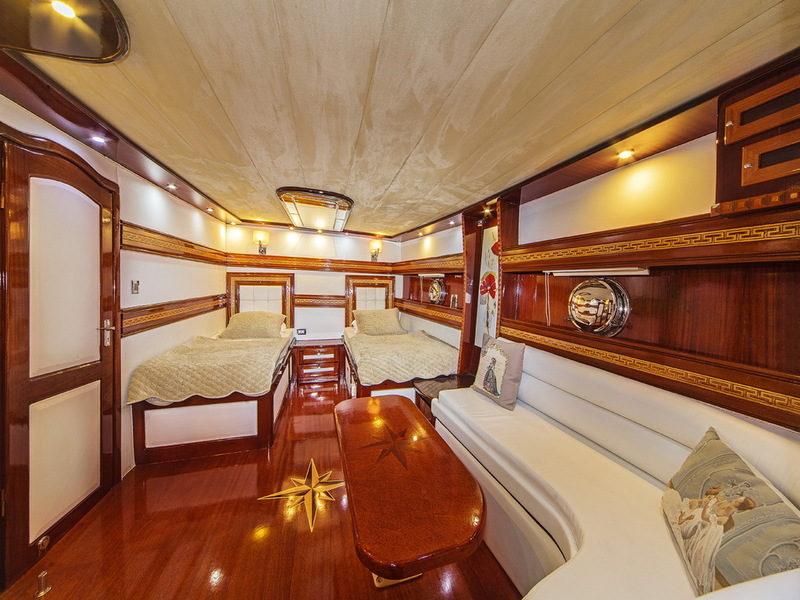 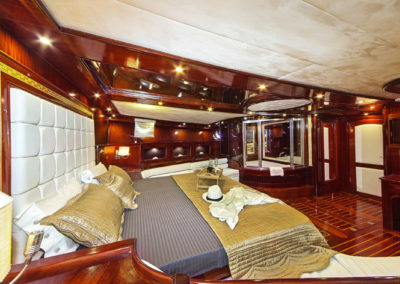 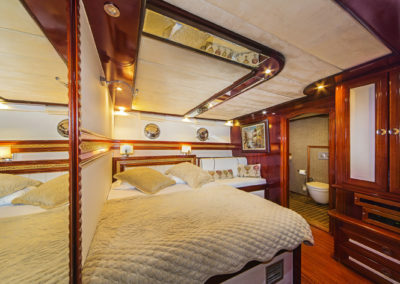 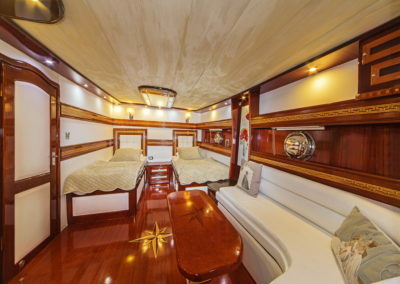 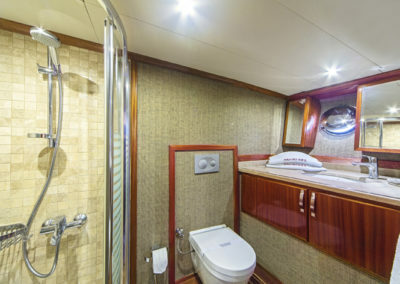 She has 6 cabins for up to 12 guests. 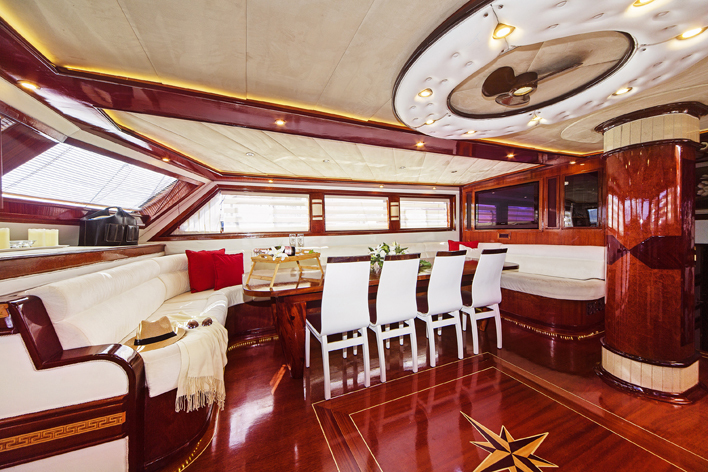 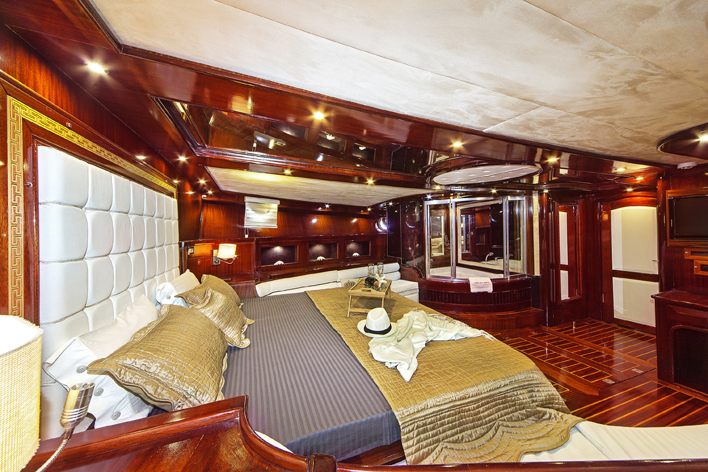 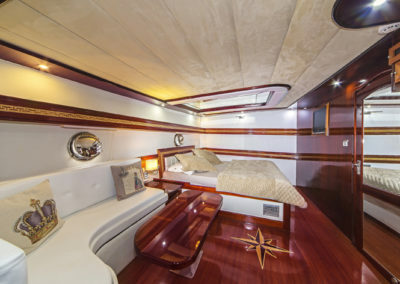 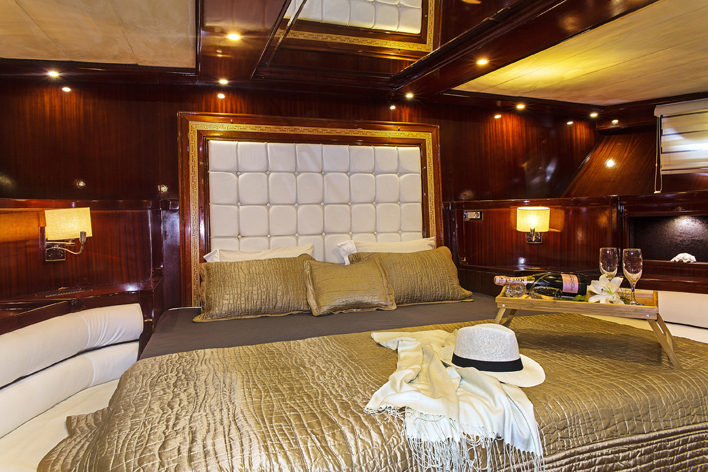 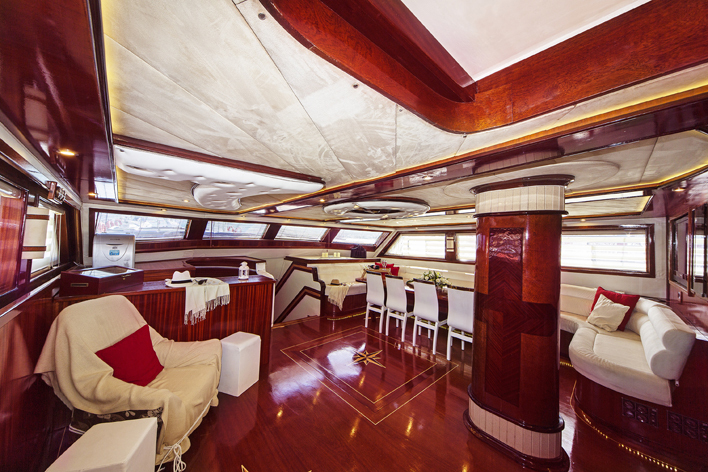 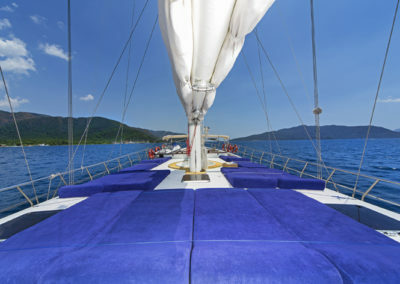 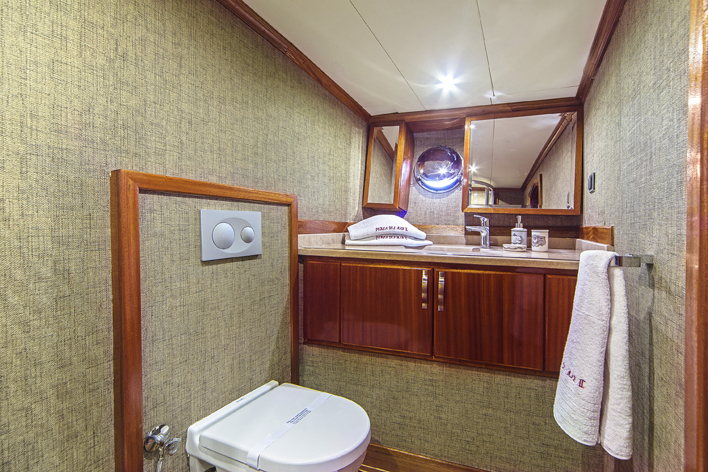 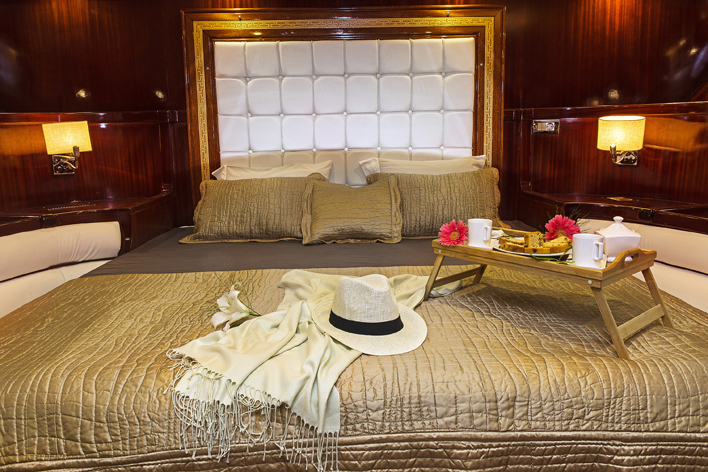 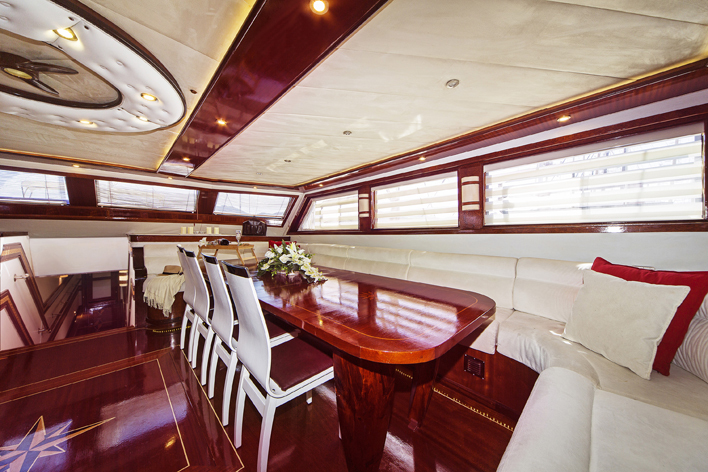 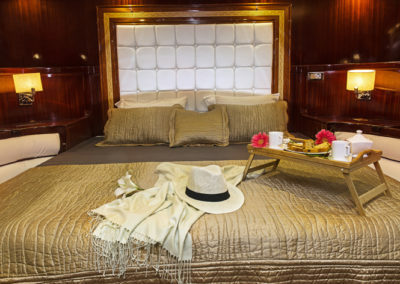 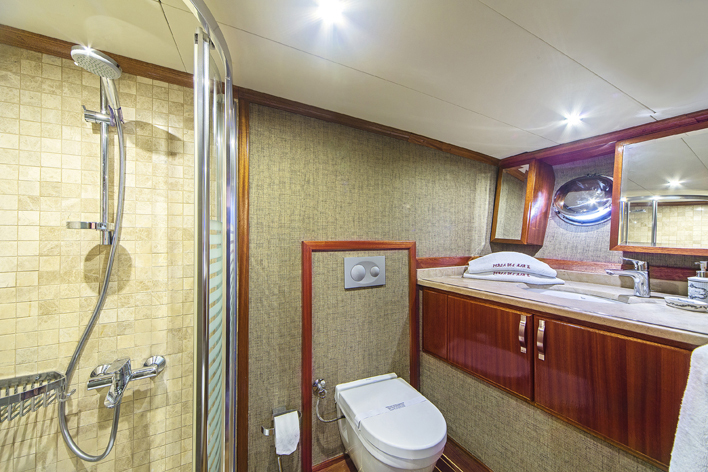 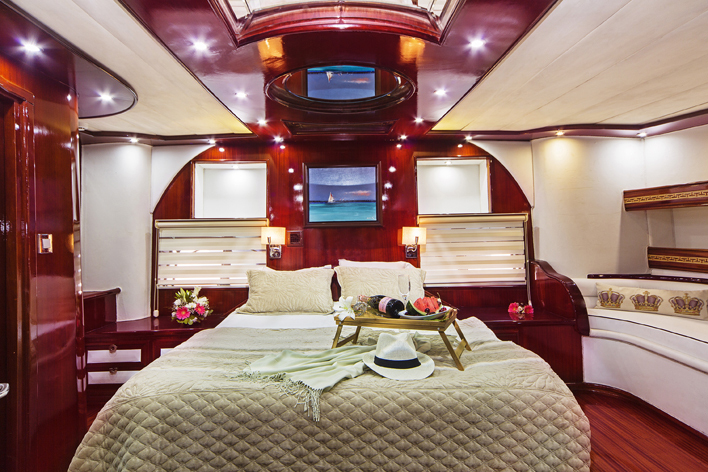 Onboard space matters, whether you want to enjoy dinner, sunbath or watch TV, there is always a perfect spot for you. 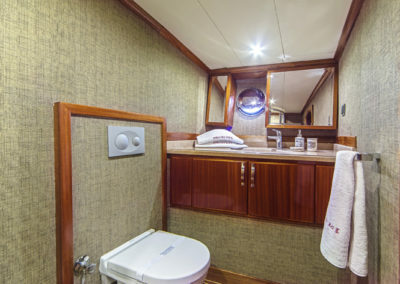 For your entertainment there are DVD players and plasma screen TVs in each cabin and in the lounge area with satellite connection. 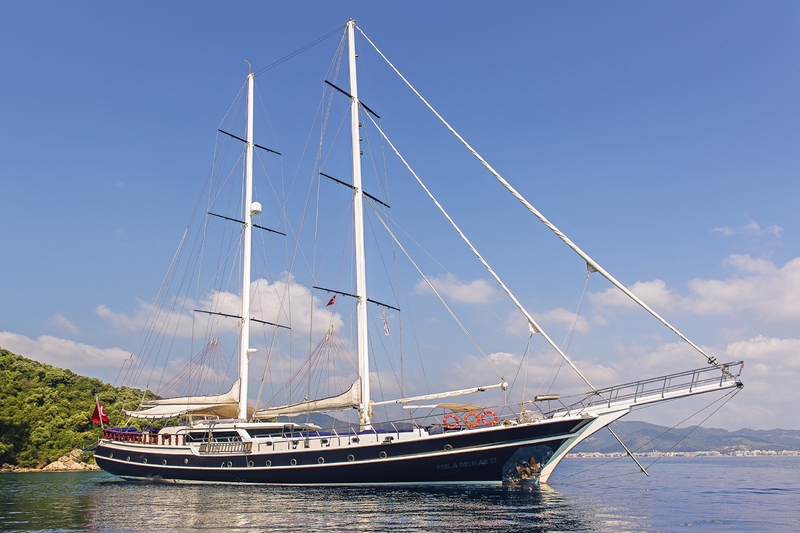 She has a crew of 6 and a hostess to look after you onboard.